Flash back to the '80s. 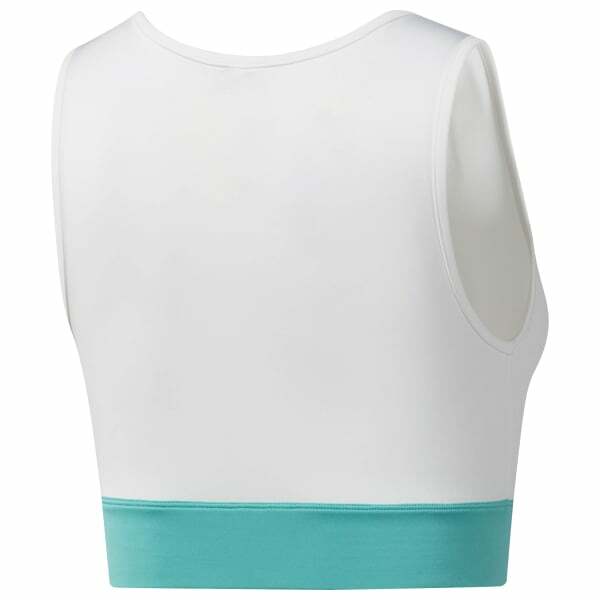 This bra top combines sporty style with retro flavor. The wide elastic band gives you a comfortably stretchy fit. A bold contrast Vector logo on the front tops off the look.